Értékeld ezt a cikket Although most players like to enjoy mahjong in a relaxative way, sometimes, you just want a challenge. Here are 3 of the most difficult layout types in TheMahjong.com. Mahjong games are generally very easy to pick up but can be pretty challenging to solve without having to use shuffle or a hint. 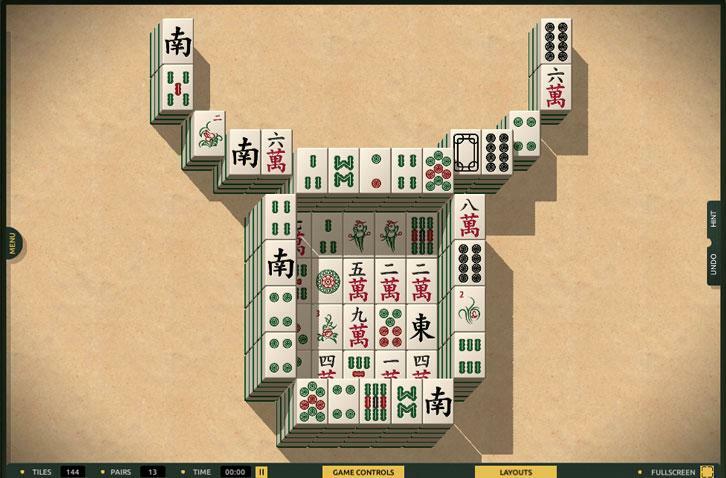 However, there are several factors that can further increase the difficulty of your standard, match-2 mahjong game, ranging from using unfamiliar and more sophisticated-looking tilesets or simply choosing a tougher layout. 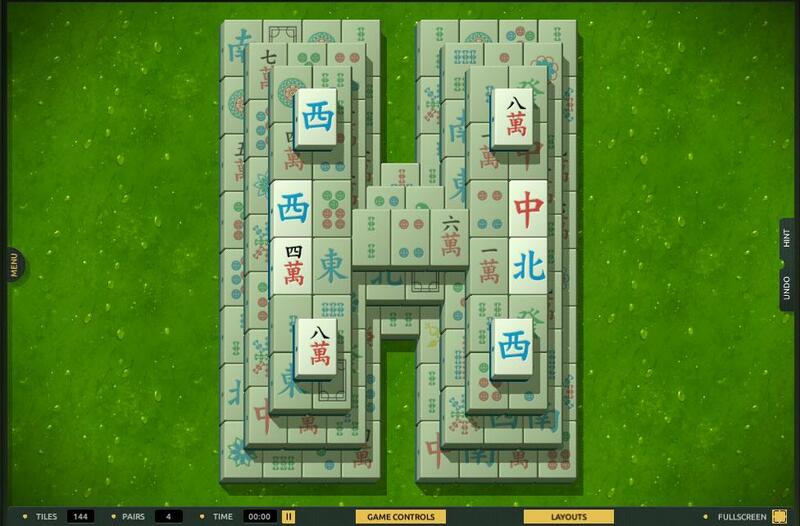 In this article, we’ll take a closer look at the top 3 most difficult layout types in TheMahjong.com, our current favorite and highly-recommended classic mahjong game. Starting Points are basically tiles that are available for you to match right off the bat once a new game is set up and ready. However, layouts with too few starting points pose a certain amount of challenge mainly because sometimes, these few pieces can be rather hard to spot. The game will generally arrange the tiles in such a way that you can easily clear at least a first set of tiles even with less starting points but if you can’t find these points, you are essentially stumped right from the beginning. For instance, the Space Bridge layout has 9 starting points that can be a bit more difficult to locate, making it a more challenging option rather than say, H for Haga which has 8 starting points, but these points are all situated in the center part of the layout. The same goes for the 12-starting points Twin Temple vs the 14 starting-points Cupola – Cupola is more challenging than Twin Temple because these starting points can be harder to spot. Thankfully though, if you don’t mind “cheating” a bit, you can enable the Highlight function via the settings menu so you can easily spot the tiles that are open for matching and those that are blocked. This is a major factor in determining whether a layout is difficult or not in any mahjong game, and not only in TheMahjong.com. Usually, layouts that have overlapping tiles that can reach up to multiple layers can be more taxing to solve because you are forced to match away the tiles on top first before you can access any of the tiles below. So, taking the Zodiac – Taurus layout as an example, the layout itself has tiles stacked directly on top of one another up to 5 layers. This is a pretty tricky layout because unlike many others where by clearing a tile on top you can uncover multiple tiles below at once, you can only (most of the time, at least) uncover a single tile for every tile you remove. Most layouts with plenty of overlaps are temple-themed like Temple 2 or Tecotihucan, but there are some that have pretty elaborate designs such as the Stargate layout and some that look deceptively simple like the Kyodai 19 layout. 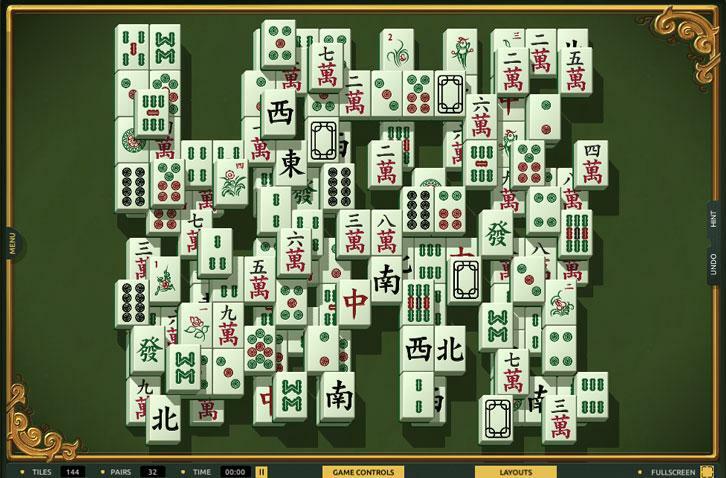 Now in #1, we mentioned that having too few starting points that happen to be well-concealed can be a factor in determining the difficulty of a mahjong layout... well, having too many starting points in a haphazard layout can be equally – or perhaps even more so – difficult to solve! Why? Basically, you simply aren’t sure which tile you should match first or even where you should start. Just take a look at the Hidden Words layout provided above, at a quick glance, you already could spot multiple matching tiles but if you would like to avoid using either hints or shuffle, knowing which tiles to match and which to leave for later can be pretty important. After all, you’ll never know two of the same tiles are stacked on top of one another somewhere in the layout. If you’d like another example of this form of haphazard layout, you can take a look at Totally Random-Made layout as well. Last but not least, there is another pretty obvious factor that will bump up the difficult of a layout - the total number of tiles in the layout itself. However, this factor shouldn’t be a concern for you since every layout in TheMahjong.com is fixed at the standard 144 tiles. However, the developers may eventually add in layouts with more sets of tiles than usual... who knows, right?